Greetings! 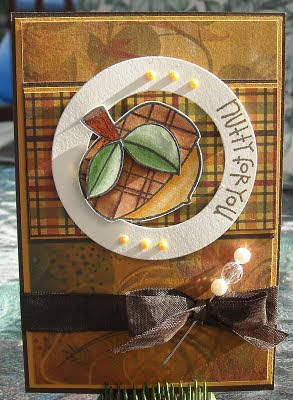 I have a card posted on the Sweet 'n Sassy blog today, shown above! 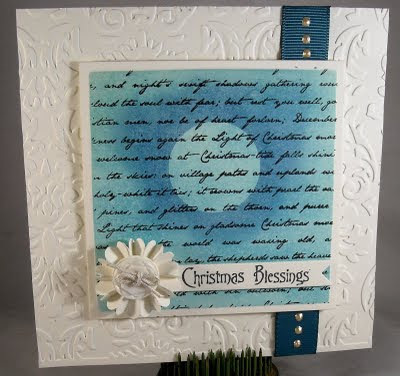 On the blog I share a few embossing tricks and techniques...check it out! 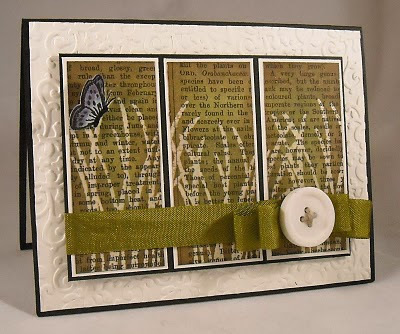 Stamps sets used on this card, all from Sweet 'n Sassy, Serene Silhouettes and Flowers in Bloom. Button from Papertreyink and seam binding from The Cat's Pajamas. 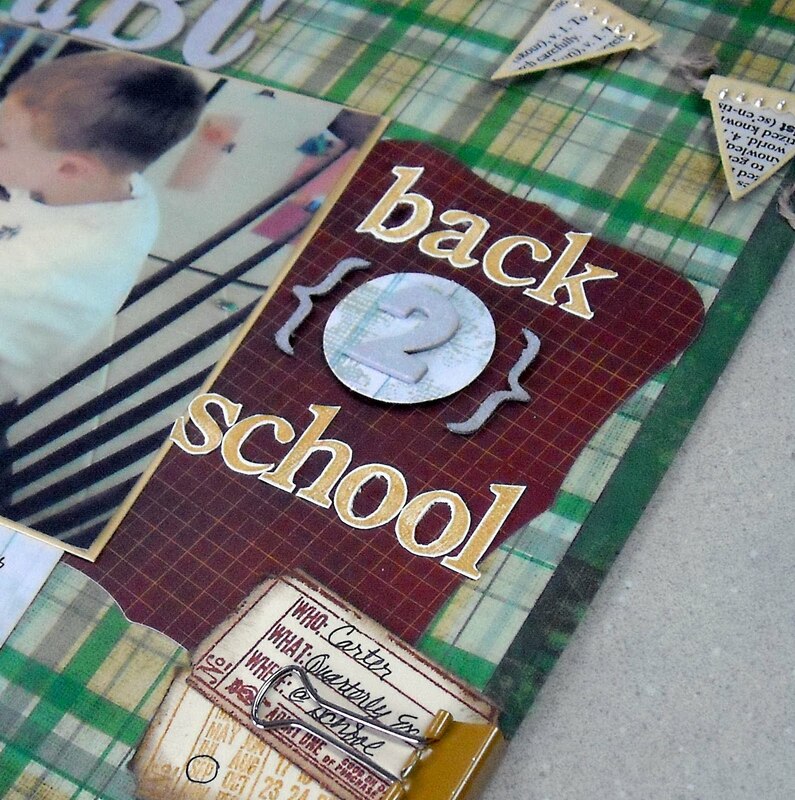 I know it seems a little bit late to be showcasing a back to school scrapbook page but when you homeschool, your start date can be a little flexible. Our family is in to week three of school so I'm clearly running a bit behind on my posting! :-) This page was part of my second September assignment for PSA Essentials. This page features paper from Pink Pasilee, tissue tape from Tim Holtz (along with stamps, grungeboard letters/numbers, and a die cut ticket), and a banner die from My Favorite Things. The letters to spell out my title are from the Vanilla Peel set. And these darling Super Star and A+ images are from the Super Star set. I love how the PSA stamps can be used with a border, as I did with the Super Star image, or without, like the A+ image. So many options! You can read more about this page and their products on the PSA blog, here. What a great sentiment! We don't know if we have more than today so we should thank God for it and celebrate! And this darling sentiment, as well as that sweet owl, are from Paper Smooches! 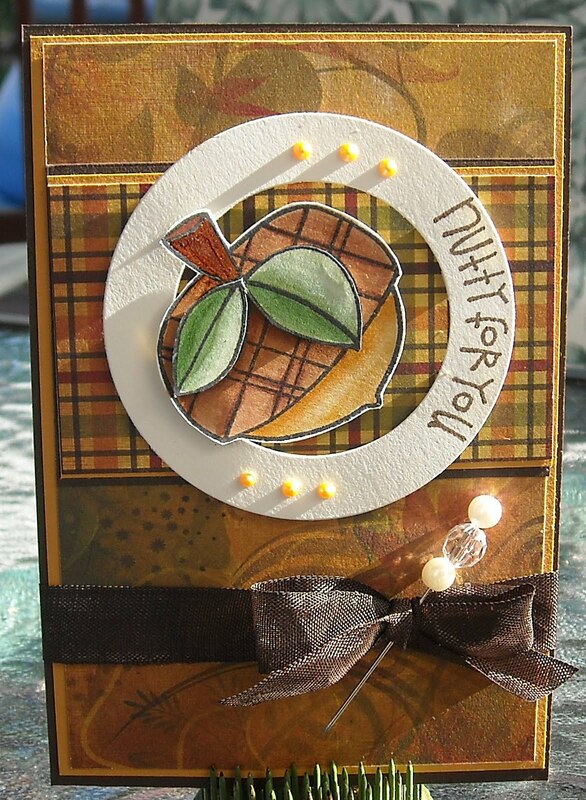 This is a card that I'll be demonstrating at a Wholly Scrap! class next week! Come join us! 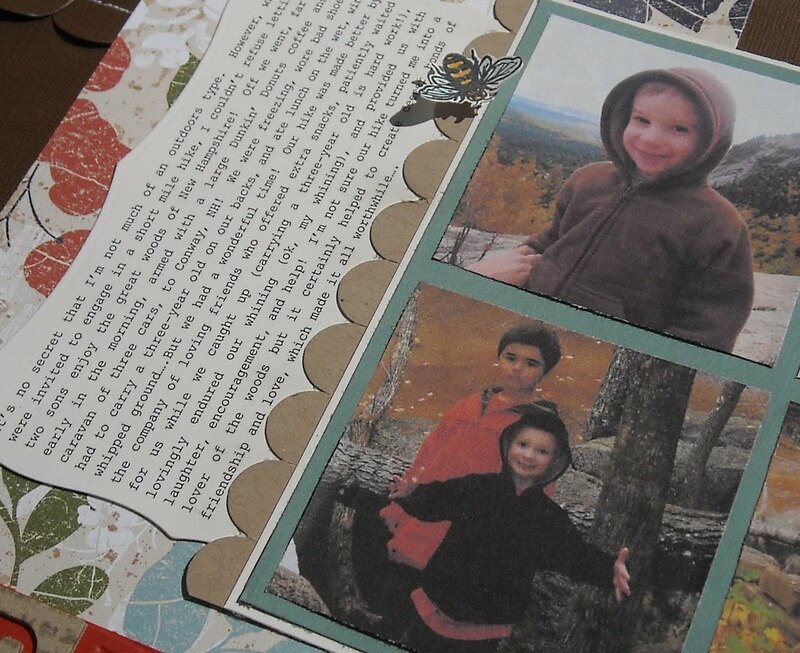 The background was embossed with a folder from Sizzix, stamp sets used are Pretty Phases and Chubby Chums. It kind of pains me to consider that Christmas is just a few short months away but I suppose I must face the facts sooner or later...The best way to ease into the coming holidays? 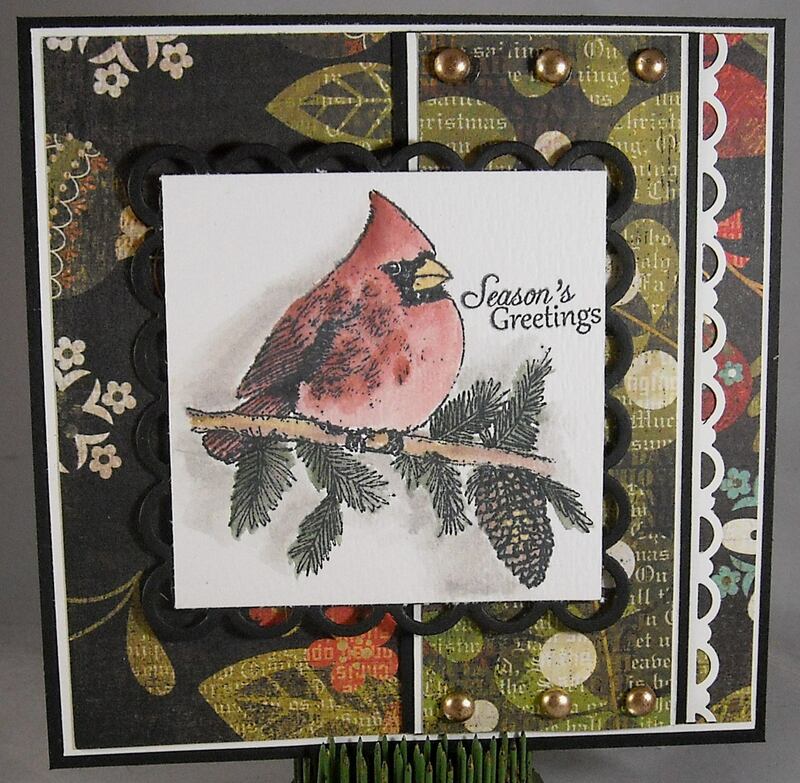 Create Christmas cards! Today I'm sharing a card created with PSA Essentials stamps. This is a combination of stamps; a snowflake set, words from a Christmas set, and holly leaves from yet another set! I used a bunch of stamps to create the background and then heat embossed the images with gold embossing powder. I then stamped the holly leaves on scrap paper, colored them with Copics, and cut them out to attached to my punched circle with foam tape. I added some red Stickles to the berries 'cause every card is better with a little bling! A piece of satin ribbon finished off my card! Be sure to check out the PSA Essentials web site to see all of their fabulous designs! And I need to mention that PSA is holding a Holiday Card Sweepstakes on their Facebook page. PSA is giving away 5 Personalized Peel & Stick stamps and will also give each winner 1 Peel & Stick pack, 1 ink, the personalized stamp, and free shipping in US or Canada, $75 value. WooHoo! The sweepstakes started on 9/15 and ends on 10/15 so hop on over to the PSA Facebook page and sign up to win! I'm super excited to share my first PSA Essentials project!! A 12x12 scrapbook page focused on a hike that I took with my family last year. 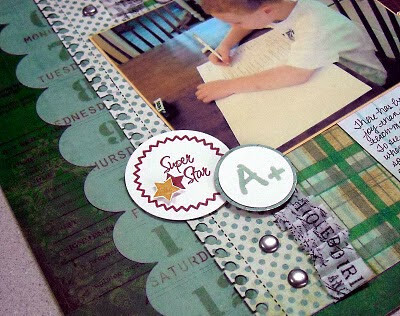 I was so excited to break out these new stamps and I had a great time creating with them! 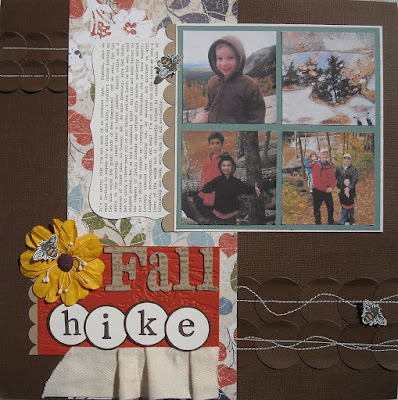 For this page I used the PSA Vanilla Peel & Stick stamps to spell – "HIKE" and a decorative bee image from the PSA Country Home set. I started my page by adding a boat load of punched circles, which were sewn into place. 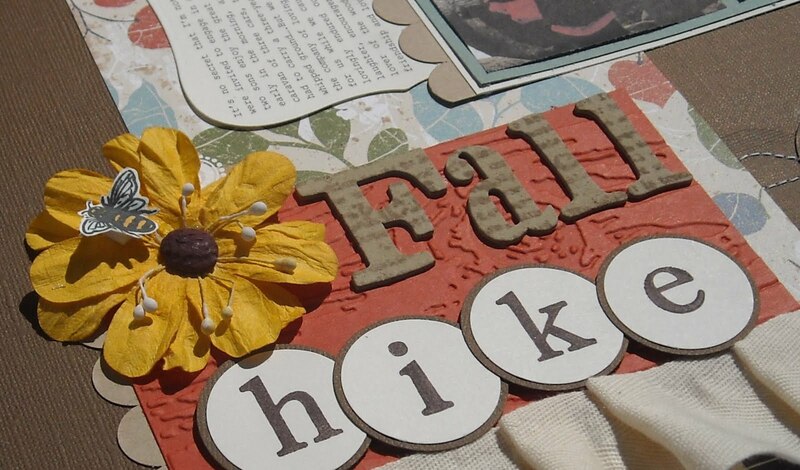 I stamped the word "HIKE" on cream cardstock and then used a 1 1/4" circle punch to cut out the letters. I backed them with dark brown cardstock using a 1 3/8" circle punch. The designer paper is from Little Yellow Bicycle (this is from an old collection...I've just been waiting for an excuse to use this!) 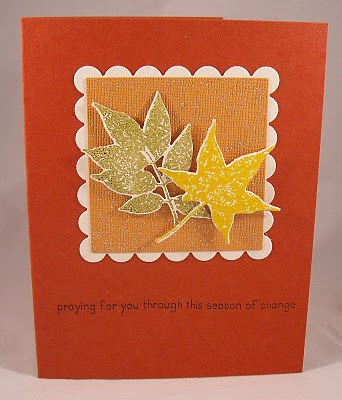 The orange cardstock was dry embossed with a wood grain embossing folder from Tim Holtz. The "FALL" letters are grungeboard (also from my BFF Tim) and I inked them and stamped on them before attaching to the page. The flower is from Petaloo and the bees were stamped on cream cardstock, colored with Copics, cut out and attached to a few places on the page with foam tape. My journaling was done on the computer and after I printed out the page I used a set of Nestibilities dies to cut out the shape. A few scallops and wide twill tape were the finishing touches! Be sure to check out the PSA Essentials web site and blog for more details and to go shopping! These stamps are seriously FUN!! Howdy! 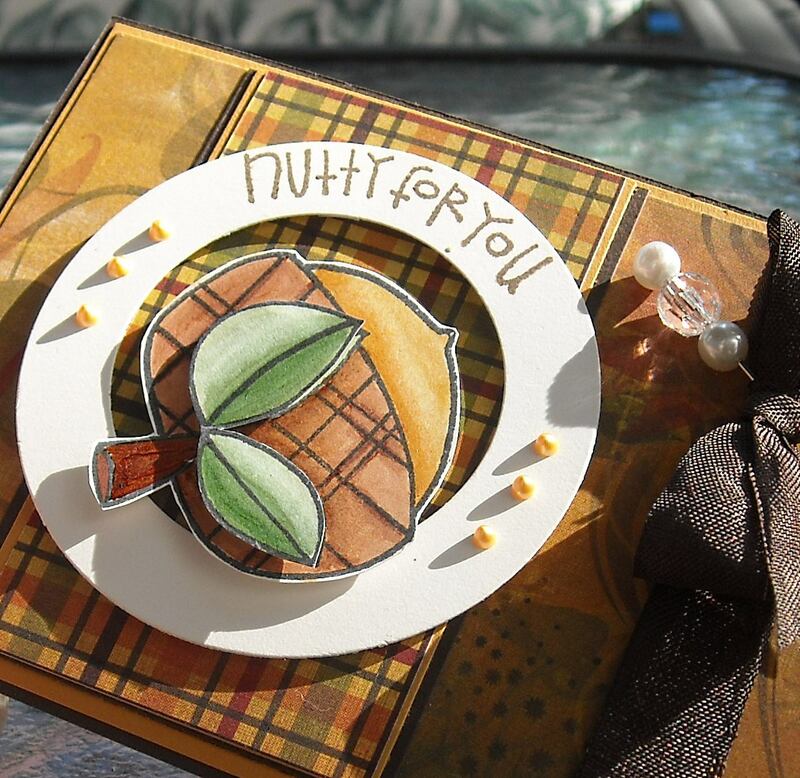 Did you know that each Tuesday Sweet 'n Sassy hosts an Inspiration Challenge on Splitcoast? You can check out this week's challenge here. And...I'll share the inspiration photo too! Aren't those the cutest stuffed owls ever? Oh, to have a little girl's room to decorate. :-) For my card, I went a little outside of my comfort zone (have been pushing myself to do that more lately) and created a CAS card with little banners. 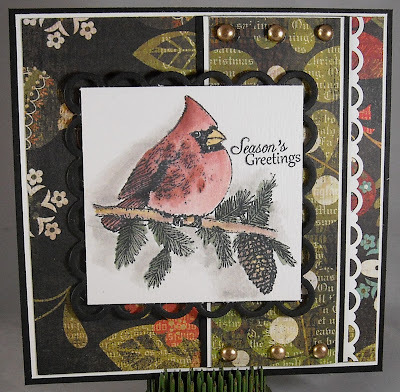 This style of card definitely isn't typical for me as I'm more of a "lots of layers and bling" kind of designer but I continue to be so impressed with cards created by real CAS artists (and it is an art to be able to balance simplicity and design!). 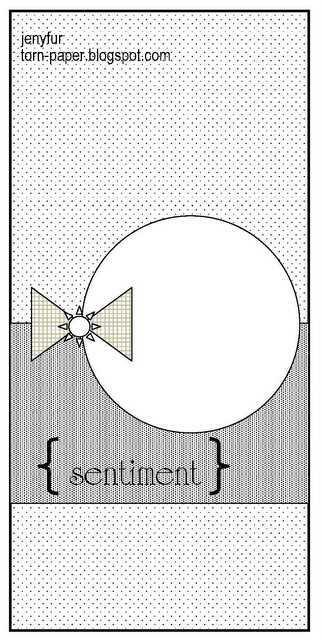 So I continue to my quest to learn more about how to create those types of cards....It's a work in progress! LOL! Enjoy and be sure to check out the weekly challenge! Tap, tap...is this thing on? Goodness, I've been quiet on my blog lately, haven't I! Last week was a whirlwind of a week; we started our first week of school, I ended up covering for two full days at Wholly Scrap!, had three hour meeting one morning, and we had not one, not two, but three appointments! Talk about barely keeping my head above water! Let's just say that I am so thankful that this week promises to pass at a slower pace! But enough about me, how about my very first Say it With Letters Project!! 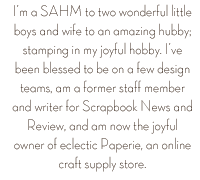 This paper is from the Spring Market collection and one of the things I love about Websters Pages is how they create stickers, buttons, and all kinds of embellishments that coordinate with each collection. For this project I used the paper, stickers, and buttons to decorate the letters. 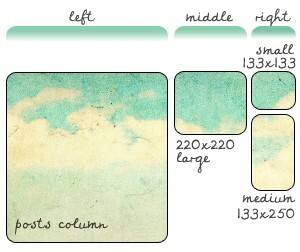 Another fun trick for utilizing WP paper is to cut out many of the designs that are printed on the paper. 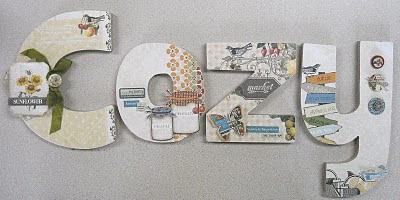 For example, the seed card on the letter "C" is cut out from a 12x12 piece of paper, as it the jelly jars on the letter "O" and the bird on the letter "Z." Cutting out the images really allows you to get more out of the paper. It's like having a 12x12 page full of embellies! For the buttons, I stacked them two high, another fun technique I picked up from designer Michelle, over at The Paper Dog. This paper is so pretty that there wasn't a need to add too many extras....just a few stickers, cuts outs, rhinestones, and buttons. I didn't even paint the letters before adding the paper (use Zip Dry for applying the paper to the letters) as I really like the look of the unfinished MDF. And here the letters are in my dining room, above our basement door...I love the look! Interested in purchasing these letters? It's super easy! Visit the SIWL Etsy shop here. The cost for the four letters? Only $16.00! What a great deal! All of the letters come with keyholes for hanging on the wall, oh and they are approximately 8" high. Love 'em! And SIWL can cut just about any shape or letter...read more about their product on the Etsy page! Sweet 'n Sassy Sneak Peek - Take Two! Welcome to another day of Sweet 'n Sassy sneak peeks!! Have you been following along all week? If you're interested in all of the peeks, visit the SNSS blog! For this card, I really wanted to highlight the stamp, although I fully intend to use this as a background behind the cardinal image I share a few days ago! Since I wanted the image front and center, I opted to simply color a die cut square with some Distress Inks...of course leaving a moon shape in the center. (Although wouldn't a star shape have been fab too!) I then dry embossed the background added a small rosette (from MFT), a button (PTI), and twine to the front with a sentiment. 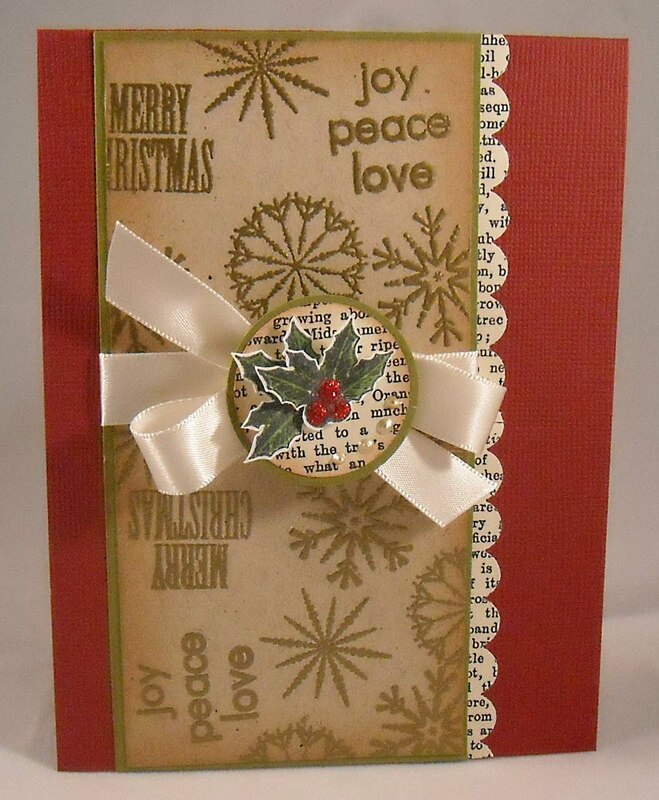 This sentiment is from the SNSS stamp set, Primitive Christmas. A hint of blue from grosgrain ribbon and more of those perfect pearls were my finishing touches! Enjoy and be sure to visit the SNSS blog for the rest of the DT's peeks! 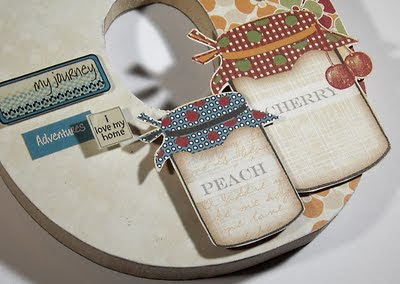 I'm nutty for Paper Smooches stamps!! Seriously, are these not the most precious images that you've ever seen? I love Kim's plump images and amazing fonts. 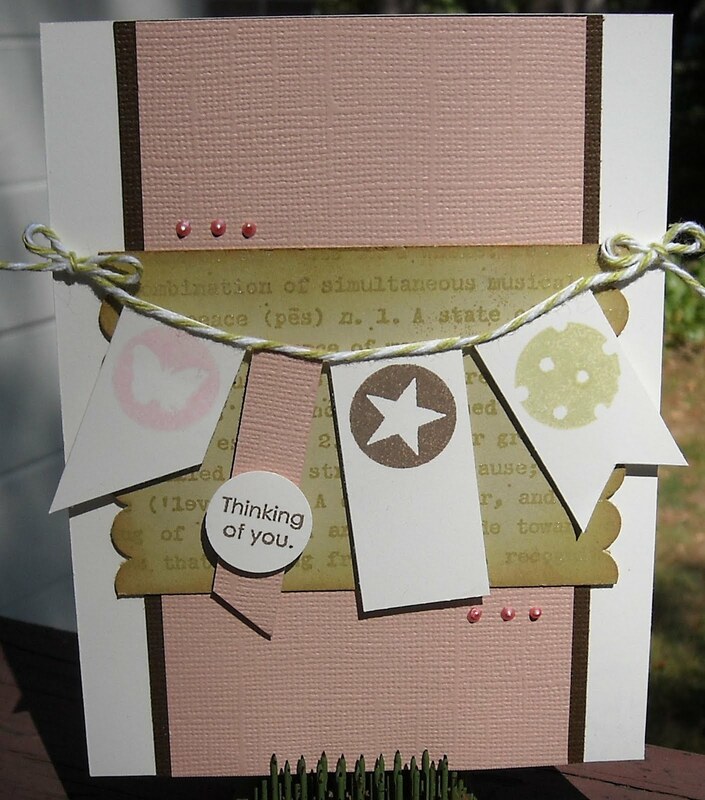 I sat down at my craft table on Saturday afternoon and banged out not one, not two, but four Paper Smooches cards!! Yippee! And I'll be demonstrating how to create these cards at my Wholly Scrap! card class next month, on October 8! Image is colored with Copics, designer paper is from someone whose name I can't remembere...LOL!, the seam binding is from The Cat's Pajamas (note that it wasn't brown...I used Copics to color a cream seam binding...fun! ), and those tiny pearls are from my new favorite product, Perfect Pearls. Yippee! It's sneak peek time again! I love when we get an opportunity to share some of the soon-to-be-released Sweet 'n Sassy stamp sets with you! And you're going to love this month's sets, they're beau-ti-ful!! Today's card features the Christmas Joy stamp set - love it! Such a pretty cardinal image and wonderful sentiments. I opted to watercolor my cardinal and in doing so realized that I miss watercoloring! I used to watercolor frequently before Copics hit the market. For this card I pushed dye ink onto the lid of my stamp pad and used a water-filled pen to pick up the ink. The paper on my card is from last year's stash...I think it's from Basic Grey, it's a stunning pattern. Love the addition of the black and gold dew drops. Want to see more? Check out the entire DT peeks at the Sweet 'n Sassy blog! Hey guess what? I've been asked to be on another design team! And I'm super-duper excited about this one...It's Say it with Letters! Say it with Letters creates custom wood cut outs of letters and shapes. I'm so excited about the opportunity to create with their product! And to wet your appetite...here's a little sneak peek of my first project, which I'll share next week! Greetings to all of the wonderful and loyal Tiffany Doodles fans out there! 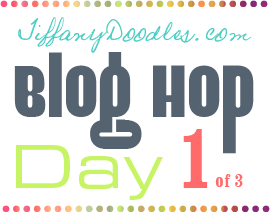 Today Tiffany Doodles is kicking off a 3 day Blog Hop! You will find inspiration along every stop! And of course, there are tons of prizes in store for you! Be sure to participate every day by commenting on each post & following every blog to be eligible for all prizes. Special Note: Make sure that your Blog and Email are listed in your Blogger profile for notification purposes. If your email is not visible on your profile make sure it is easy to find on your blog. Thanks! While your hopping keep in mind a SALE that is going on this weekend at the store!! All Bird and Flower Digital stamps are on sale for 25% off! No coupon necessary, discount will be taken at the register. PS. Even more sales listed below! Even if you don't win on 1 of the 3 days - you still have a chance to win the Grand Prize!! The Grand Prize will be chosen randomly from the main TD blog from all participants from everyday. 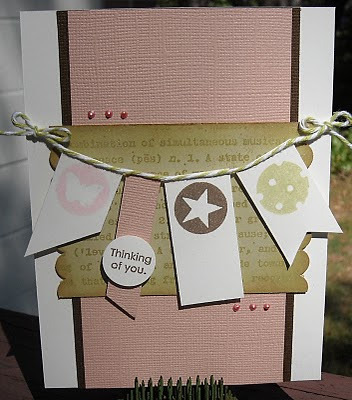 On today's Hop we are featuring cards made with a lovely sketch made by Jenyfur at Torn Paper! 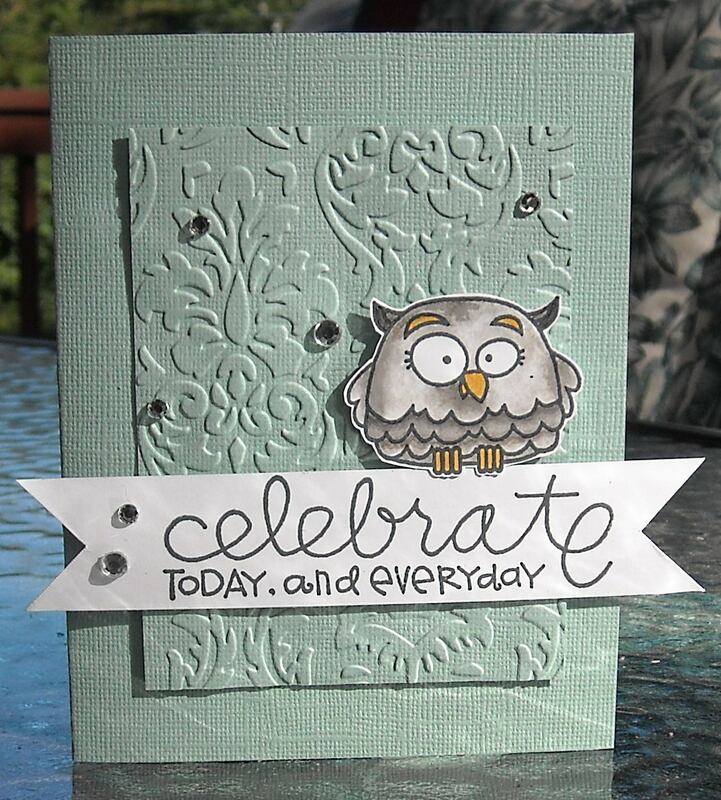 And of course, all stamps throughout the blog hop are featured by Tiffany Doodles! There are 2 ways to earn extra entries!! 1) You can earn extra entries for today's prize if you make a card with this sketch! If you would like too, link your card through inlinkz on the main blog post. Enter as many times as you wish! One entry per card submitted. 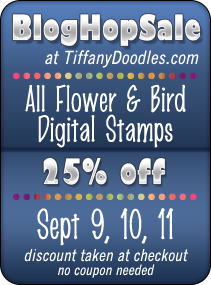 about our Blog Hop & Tiffany Doodles Digi stamps! If you post about us you can earn 5 extra entries!! 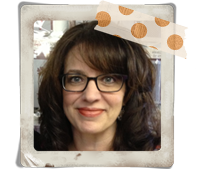 I'm excited to be playing along with Tiffany Doodles' Blog Hop as a guest designer! Thanks so much for asking me to be a part of the hop Tiffany! 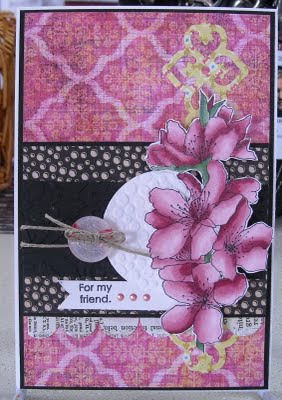 For my card I used the Cherry Blossom digi image. This is one of my favorite Tiffany Doodles images! (Go figure, it's a flower!! **giggle**) I paried the image with paper from Basic Grey. The image was first printed out on my printer and then colored with Copic markers. The sentiment is from Sweet 'n Sassy. Besides the Blog Hop sale we have going on, we are also having 2 other sales in the store! We currently need someone who can make TD digis into Cut files! Video Tutor Details Here. Position has been filled. Thanks. Cut File Maker Details Here. Banner Spots Available Tiffany Doodles blog gets an average of 5,000 to 7,000 visitors per month! Would you like to get in on that action? Now accepting banner spots for the blog! We will see you again tomorrow starting at Tiffany Doodles! I can't wait to show you the beautiful cards we have in store for you! Joan Ervin said... This is sooo cute...love the little bear standing in all the grass and the background papers are beautiful!!!! Joan, please contact me at ksdm@comcast.net with your shipping address!! 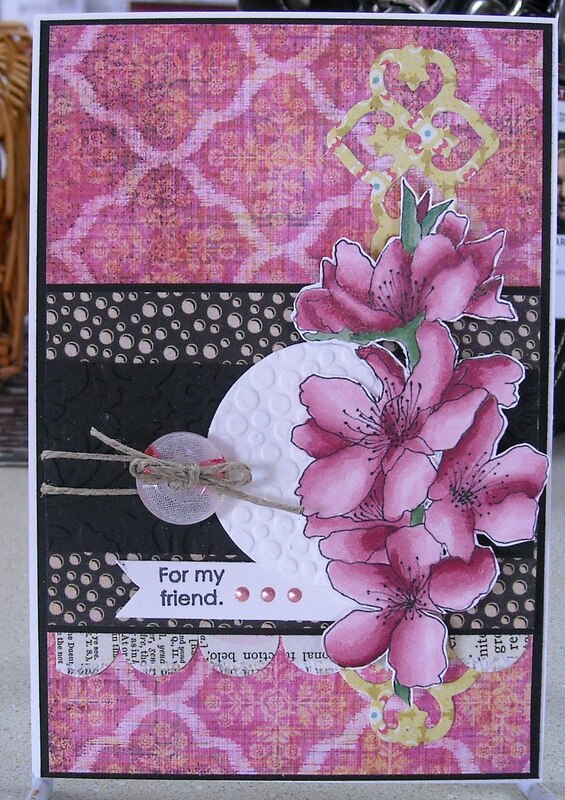 My last card from the Acetate Card Class, which featured stamps from Hero Arts! 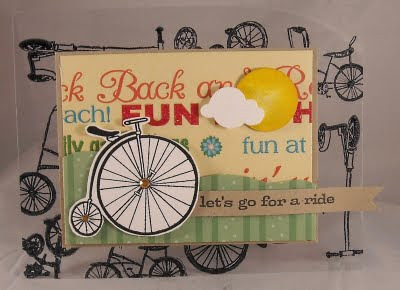 I love this set, Let's Go for a Ride, that contains lots of fun bicycle images and coordinating sentiments! 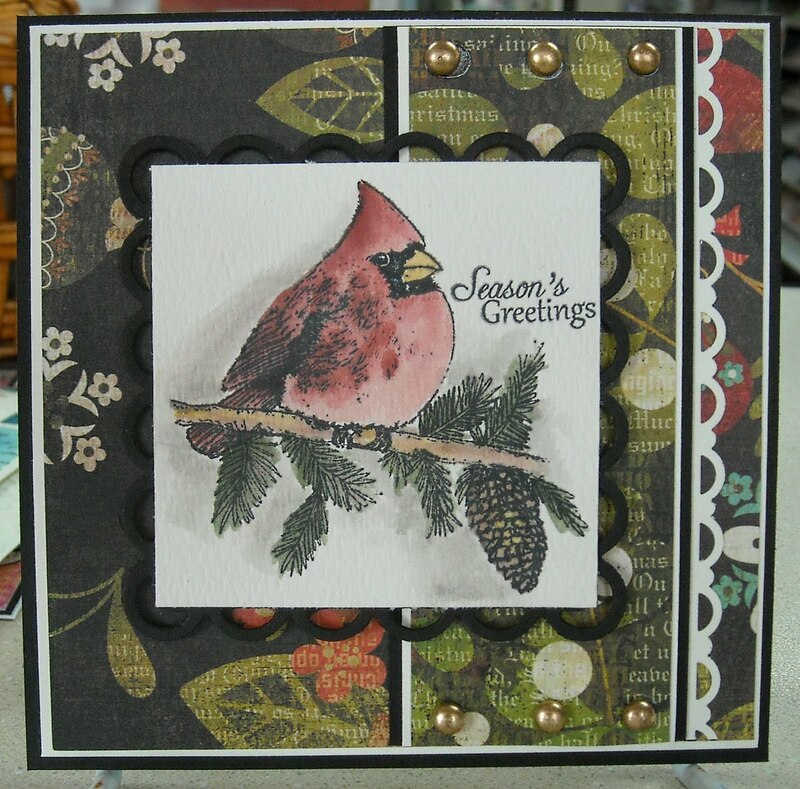 For my card I created a little scene using paper from Momenta. The hill was free hand cut, the sun was cut using a 1 1/4" punch, which I colored yellow, and the cloud is from The Cat's Pajamas (the cloud border die). The bicycle was stamped on white cardstock, cut out and attached with foam tape. I added a few rhinestones because I can't seem to create a card without rhinestones anymore! Oh yeah...I started by stamping bicycle images all over my acetate card, using Staz-On black ink. The look on the inside of the card is pretty cool too! Enjoy! And be sure to check back on 9/9 for the Tiffany Doodles blog hop!! !